10,000 Deer Can't Be Wrong! The Loring-Restoule Region is one of the best kept secrets in Northern Ontario. With endless wilderness along with pristine lakes & rivers the opporunity to explore is never-ending. The Deer Yard trail system features 3.6 km of trails on Crown Land that wind around stunning wetlands. From May to November, the trails are maintained by volunters of the Loring-Restoule Business Association who hold a Land Use Permit for the area encompassing the Deer Yard Trail. Along this easy walk, you'll find interpretive signage to learn more about the area, and the original viewing station which is a great spot to view wildlife, and maybe spot a deer. The Trail is maintained by volunteers, sections of this trail remain wet most of the season, so be sure to wear footwar that can get muddy or wet. While not actively maintained in the winter months, the trails are a great place to snowshoe. The Loring Deer Yard has a long history of community support dating back to the late 1960's with an interpretive trail created in 1995 to help educate people on our local ecosystem as well as our resident population of white-tailed deer. ​The MNRF came to the Loring-Restoule Business Assoc. and asked up to help organize protecting and feeding the local deer population. Hunters and members of the community donated money and time to assist in feeding the deer to help get them through difficult winters. While we do not currently feed the deer in our region, the community is still incredibly invested in their survival and the cultural heritage value they bring to the Loring-Restoule Region. 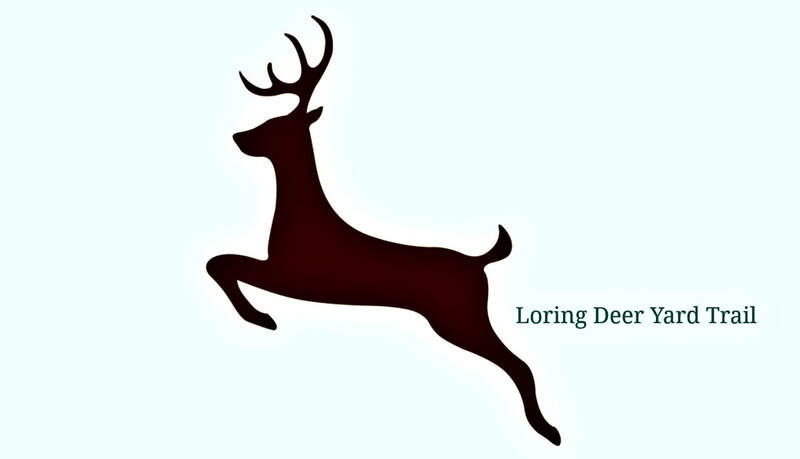 ​Friends of the Loring Deer Yard, assist in trail creation & maintenace, marketing, interpretation, research and more! Mission: To support the local deer population & the environmental, educational & recreational opportunities of this unique space. Vision: ​To be recognized for promoting the ecological integrity, biology of white-tailed deer and natural beauty of the region. We protect the Deer Yard ecosystem and preserve the full diversity of habitats and their species.